I have been away from work, from Kuala Lumpur busy city life, and even shutter therapy for a few weeks now. Currently I am in my hometown Kuching to be with my beloved mum. She has just undergone her Knee Replacement Surgery two days ago. The operation was a success and she is recovering well, so do not be alarmed and there really is nothing to worry about. For many of you who have been following my blog for some time, you would recall an incident about two years ago when my mum accidentally fell and shattered her hip, and the previous surgery happened when I was low on cash. I shall be forever grateful for all the beautiful folks out there who contributed to that surgery and pulled both myself and mum out of the difficult situation. This time around, there was no surprises and we were fully prepared for the surgery. Now, I am ensuring that I spend as much time as I can to be with her. Therefore, do expect this blog to slow down with less frequent updates. Today, Olympus launched the much awaited M.Zuiko 300mm F4 PRO lens. I have had the opportunity to handle the lens briefly, though not enough to write a full review yet. I have not brought the lens out for a full on testing, hence I do not have sample photographs to show, I shall write about my first impression and quick hands-on preview of the new super telephoto lens. This new Image Stabilization mechanism uses both the built in body 5-Axis IS and also the built in lens IS to produce and incredible 6 shutter speed steps of compensation (This is true for E-M1 with Version 4 Firmware and E-M5 Mark II with Version 2 Firmware). Olympus claims this to be the most powerful and effective IS system available in the consumer camera market today, and seriously this is no joke. In my very brief test handling the lens, I was able to hand-held the lens and get consistently sharp images shooting at 1/10sec shutter speed. You heard that right, I was shooting a 600mm equivalent super telephoto lens, hand-held at ridiculously low 1/10sec shutter speed. Of course we do not need to shoot at 1/10sec or anything near that crazy slow shutter speed but the assurance that this lens is able to be fully utilized without the need of additional support system (tripods, monopods) enhanced the overall philosophy of Micro Four Thirds system: strong advantage when it comes to gear mobility. The sharpest Olympus lens has always been the legendary DSLR Four Thirds ZD 300mm F2.8 PRO lens, and now the new M.Zuiko 300mm F4 PRO surpasses that in terms of overall image quality and sharpness. At least that was what the MTF chart says and it is not difficult to believe considering the advancement of optical technologies and manufacturing capabilities over the years. The optical construction consists of three super ED, one extra-high refractive and three high refractive elements. How sharp is the new M.Zuiko 300mm F4 PRO really is, and how good the lens flaw controls are, I can only find out when I do my extensive tests. I am actually super excited to see how sharp this lens truly is! How much sharper can this lens be over the already superlative M,Zuiko 75mm F1.8 and 40-150mm F2.8 PRO lens? Weighing about 1.3kg and at 23cm long, while this M.Zuiko 300mm F4 PRO lens is indeed the largest native lens for Micro Four Thirds system, it is still far smaller and lighter in comparison to any equivalent 600mm lenses out there. I understand that the equivalence argument will see no end and it probably might rub some shoulders in the wrong way, but you got to admit, there really is no 600mm F4 equivalent lens (in whatever equivalent ways you want to see it) that is fully hand-holdable without using any kind of support. I can assure you that the advantage of using the M,Zuiko 300mm F4 PRO is the ability to use it hand-held, confidently, due to the incredible 5-Axis Sync IS. The lens does feel heavy but it was not uncomfortable to hold, and definitely you MUST add on battery grips for E-M1 and E-M5 Mark II to add stability. Since I have not used the lens more than 15 minutes in each short testing sessions, I shall only comment further on the overall handling and ergonomics of the lens after extensive shooting is done (eg, half day shooting outdoor at the zoo). While I do not imagine people shooting macro with this 300mm lens, having such close shooting capability can be convenient. Say, you are camping and waiting for the bird in a forest, and then a beautiful colorful butterfly decided to show up a few meters in front of you. Without changing lens, you can use the M.Zuiko 300mm F4 PRO and still get away with very decent shot of the butterfly, with sufficient magnification. The magnification is rated at 0.24x (in 35mm equivalent this is 0.48x, about half of real 1 to 1 magnification) which is quite impressive for such a long lens. Lenses from other competitors in similar range will require you to step back 4-5 meters away, and do not provide such large magnification. Full compatibility with the 1.4x tele converter MC-14 which was built for the 40-150mm F2.8 PRO. Using the MC-14 on 300mm results in 420mm reach at F5.6, which is not too shabby, and reportedly at minimal loss of sharpness only. This shall be one of the item in my to-test list for my review soon. The hood is built in, but has a reverse mechanism for quick release when needed. There is a new ZERO Nano Coating, which delivers better control of lens flare and minimizes ghosting. For full press release and specifications, you may read it here (click). I acknowledge that a super-telephoto lens, especially 600mm equivalent long is not a lens that is high in the priority list of many photographers. The usage of this lens is rather limited and very specific. The main usages of such a long focal length would be mainly for birding and wildlife photography, followed by sports and motorsports. I do not see this lens as a lens to be carried around every day causally. If you do need such a long focal length and you treasure the ease of moving around without being weighed down by your gear, the M.Zuiko 300mm F4 Pro should be in your consideration. Just a quick note, about the 5-Axis Sync IS, currently this only works for E-M1 and E-M5 Mark II, with latest firmwares Version 4 and Version 2 respectively. Compatibility for other cameras shall be made available in stages via future firmware upgrades. At this moment, I do not have the information on when these updates will happen. I understand that my hands-on preview of the M.Zuiko 300mm F4 PRO is a quick and brief one, but boy an I super excited to try it out! Unfortunately that will hot happen any time soon, as I am still in my hometown Kuching, accompanying mum during her recovery from her recent surgery. However, I shall get right into shooting and reviewing of the M.Zuiko 300mm F4 PRO lens, when I return to Kuala Lumpur in a few weeks time! Please follow me and support my site by liking my Facebook Page here (click). Look forward to some images. Best wishes for your Mum. Any word on the delay for this lens from Olympus and why Lens IS. Did you test with IBIS only and do you know if the lens IS is a big power drawer? I did not remember there being any delay. Olympus announced in advance the lens in development and never gave any promises on when the lens will be launched. From my understanding (since I do work inside Olympus) the lens was right on schedule. You cannot enable the in body IS only when using this lens in E-M1 or E-M5 Mark II. The 5-axis Sync IS is always on. And yes the new IS drains more battery. Will need to test out to tell how much that is. Forget about this lens, at least for a while, Mum always comes first! Hope she's doing well now. We can wait . . . Thanks! Mum is doing great. She has started physio and can now walk but only for short distances. She is recovering well! Grad to hear your mum is doing great! Thank you for post this lens information! Hi Nirut!! Thanks for the concern and yes I cannot wait to do a full review! Hope to see the the performance of this lens with 1.4X teleconvertor also. It's good that you could be there for your mum, back in Cat City. I'm still skeptical about the 300mm f/4.0 being sharper than the ZD 300mm f/2.8. I usually have to say "good for micro Four-Thirds" instead of "good". It's not a lens for me anyway, or I would have had the ZD 300mm f/2.8. I'm glad Olympus (and Panasonic) is continuing to add products to their lineup. It could very well be sharper then the 300/2.8. However, I have occasionally had moiré on pictures I've taken with my 300/2.8, which means the lens can out resolve the 16 MP sensor of the E-M1. So to actually make use of the sharpness difference one will need at least a 20 MP sensor. Also, that extra stop of light helps. Sure, IS can take away mindblowing amounts of camera shake, but it cannot take away any subject movement. No worries, I have my own skepticism too. Shall put the lens to torture when I get back to Kuala Lumpur. All valid points! The main reason the lens was kept at F4 is the size. Making it F2.8 will significantly add to the size and weight which is not something a Micro Four Thirds system is designed for. Rasmus, I agree. I always look for the fastest lens possible, when it is a properly-designed weapon. I have a 20 MP sensor in the GX8, along with the 16 MP sensors in the GH4 and E-M1. My SHG lenses have not been used so much lately because I have enough micro Four-Thirds equipment, and two small bodies beat one large body and one small body. Robin-sama, I'm glad to hear that. I really wish I had a use for the lens. I've been going wider mostly, not longer, with skate parks. Be sure to test on fasting moving motorcycles head on. To silence those who say EM1 is not really a pro body. I own an E-M1 and no, it's not a pro caliber body for shooting moving objects. Having come from a Canon-based DSLR system, I have first hand experience. However, for static/semi-static subjects, the E-M1 is outstanding, especially with their new Pro line of lenses!! Interesting. I photograph at skate parks and the E-M1 works quite well, along with the Panasonic GH4 and GX8. not too sure if motorcycles is the best subject to test but I do not expect the lens to perform miracles when it comes to C-AF. After all we are talking about using older bodies on the camera. I think in the hands of a capable photographer such as yourself you can make the shots happen! Well isn't that the point of a real life test... test the limits of the lens and body it's attached to. Motorcycles and fast sports cars would test the limits, soccer and basketball would not. Bob, my point is, the limit is within the camera. Since we are still using the camera I do not boy expect improvement in the performance. Hoping for a prompt recovery for your mother. I'm gonna be the devil's advocate on this one. 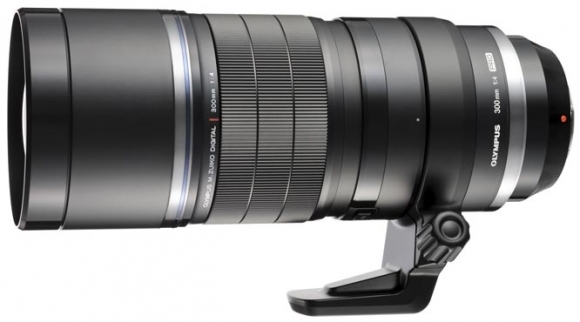 The Oly 300mm f4 is not a 600mm f4 lens! It's a 300mm f4 lens that when mounted on a 4/3 sensor gives a FOV of 600mm (with a an equivalent DOF of f8 in 35mm terms). It's the same as saying the Sony Cyber-shot DSC-HX400V has a 24-1200mm lens, yet it's much much smaller than an EM1 with the 300mm that only gives you 600mm. I find this Olympus lens very big, heavy and expensive for what it is. It is especially true if you compare it to the new Nikkor 300mm VR f4 lens which is designed for a sensor that's 4x the size. The Nikkor is much smaller, much lighter and $500 cheaper! The Nikkor is 8cm shorter (!) and about HALF the weight while being much cheaper. How is this possible. Mounting the Nikkor with an adapter might make sense in this case. 1) Nikon 300mm is not optically similar to Olympus 300mm. I can almost guarantee you Olympus 300mm is optically superior and this will be proven by many professional reviewers. While Nikon 300mm F4 is designed as one of their lens line up, Olympus 300mm F4 PRO is designed to be the BEST of Micro Four Thirds lenses. 2) your comparison of 300mm F4 for Full Frame and 300 F4 for micro four thirds sensor to have similar characteristics is flawed. How can that be, when the final output of the image is so different in terms of focal length reach and depth of field? Are you going to claim that using 300mm F4 on both Olympus and Nikon yields similar outcome? Obviously not, and hence that same Nikon lens while being made smaller does not mean it can be made similar for Micro Four Thirds. 3) while your Nikon lens is lighter, but mounting on a full frame body, your overall weight and size will still be more that a Micro Four Thirds system. 4) final question. Can you handhold at 1/10sec with your 300mm focal length? I can hand hold the Olympus 300mm, which in actual fact gives me 600mm at 1/10sec. Your lens may be smaller, but in critical situations you need additional aid of tripods or monopods, which micro four thirds system is designed to be free of. We may argue on and on but you can only go so far by just looking at specifications. Soon the internet will be filled with real life samples and reviews of the Olympus 300mm F4 lens. You may even find a direct comparison with the Nikon's "cheaper and smaller" version then I am sure this will adequately answer your questions. The reason why the Nikkor is much smaller and lighter has to do with the technology used: diffractive optics. It takes a lot of time/knowledge to develop this technology. Canon more than a decade ago introduced it in a 400mm f4 (2001) lens and a 70-300mm lens (2004). It took Nikon till 2015 to introduce a lens with comparable technology. So, in order for Olympus to use lenses like this, they have to invest a lot of money and time to develop the knowledge and manufacturing ability of such refractive optics. They just don't have the technology yet. Now, you can argue as much as you want, but the fact remains: a 300mm f4 lens remains a 300mm f4 lens regardless of the sensor behind it. If Olympus had diffractive optics tech they could surely make this 300mm much smaller and similar in size (if not slightly smaller) than the Nikkor. Yes, you may want to argue that 300mm lens is a 300mm lens. I will be perfectly happy to get a 600mm reach. If you still want to argue and deny that, all the best to you. And I am sure, the image quality of the Olympus 300mm F4 will SURPASS the Nikon's 300mm F4. Just wait for valid comparisons to surface. If we are comparing ordinary lenses, I shall not comment much. Do bear in mind that the new M.Zuiko 300mm is made to be the BEST lens for Micro Four Thirds. Specifications can only say so much, just wait for real life samples. The Nikon DO lens most certainly, definitely does not deliver top shelf optics like the new Oly. The Nikon is equivalent to a budget, lightweight version, say a Tamron version. 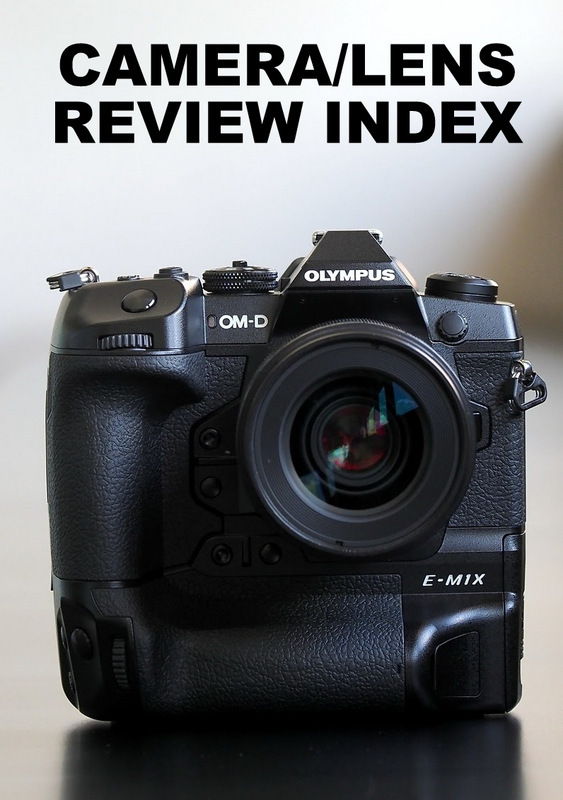 Its optics are 'very good' but not at the benchmark level of the Olympus. I'm sure the Olympus will be great optically and very sharp. There is no doubt about that. However, it's a bit pretentious to claim it's gonna be better than any other 300mm lens on the market. Keep in mind I don't shoot Nikon. In fact, I really like MFT. I used to have an E-M1 and lots of lenses. Great system. After I got all of my gear stolen, I decided to switch to Fuji which is more appropriate to my style of photography (shallow DOF with very fast primes). I'm sure several years from now, the use of OD elements will be more common and lenses such as this one will be made smaller for the benefit of every photographer. Florent - Robin clearly states that his comments are based on technical specifications and lens sharpness charts. Based on these this lens does appear to be the sharpest kid on the block. That combined with it's 6 stops of stabilisation and the ability to hand hold make it a very special and hence expensive optic. Other reviews I have seen by wildlife photographers who had a few days with the lens prior to launch back up Robin's brief post. Note he has also stated clearly at the outset that this is his initial impressions. Lastly for all those comparing MFT to FF I wish they would stop, each has it's advantages. For those who prefer their FF cameras and big heavy full frame lenses fair play to you. I have been there done that and there are significant advantages for me with MFT and long lenses and hence my switch. As I said, I have no doubts the Oly will be very sharp. My point was mostly about size and also about cost. I find it disappointing the lens is so large and heavy given a FF lens of the same focal length can be made much smaller and lighter for a sensor 4x the size. That said, the reason the Nikkor is so small is because of the OD technology used. Too bad Oly doesn't have the technology. That would make for quite a signifcant size reduction. Oh and btw, I have no interest in FF or DSLRs: I had several DSLRs in the past, but for the last 2.5 years have been excluively shooting with MFT and now Fuji. I'll never go back to outdated DSLR tech. My comparison with FF was simply to illustrate the rather large size of the lens and how it could be much smaller, nothing more. Is it really that large. Would be interesting to see it alongside say a 70-200 f/4L IS by Canon. I doubt there is much difference. As for the Nikon comparison how sharp is the Nikon compared to the Oly. If it similar I take your point. Maybe Olympus could have made it smaller and less sharp but then there would be complaints about the poor optical performance. I need to look back at how heavy my 80-200 f/2.8L magic drainpipe was - I am sure that was about 1.2kg with the tripod mount. I was just reading 3 reviews on dpreview. To costly, to heavy..is circle of image designed for next EM1 sensor size? And dpreview people seem to miss 6 stop stabilization benefits entirely. They're nuts about all their comparisons to FF. FF people never add cost and weight of tripod to go with 600 mm or 600 x 1.4x and benefit of 6 STOPS of stabilzation. And all pretend to be Tom Magelson who prints wall sized 24 x 40 in. Oly lens will find a good following. Sorry to hear about your mom, Robin. Hope she recovers quickly. Anxiously looking forward to your full review of this lens and photo samples. I have no doubts that this is very sharp lens. I am more worried about the "nervous bokeh" not unlike the 40-150 PRO, as reported by some reviewers. I hope it's not as bad as it sounds. Thank you for the review Robin. The lens is certainly impressive, I'm gobsmacked by the level of feather details. Can't wait to get my hands on the lens.